Neoreaction. If you grok it, you grok it, the end. If not, explaining it is a hell of a task. Some of the challenges of expressing this have been on my mind for quite a while. Any movement which requires such a map is a cognitive beast. It is almost impossible to explain in a linear, verbal fashion. This leads to the next two challenges. In any discussion of a contentious topic, the opposing party is always looking for weaknesses in your argument. Good lawyers win cases by anticipating and avoiding or parrying the attacks the opposing counsel on their arguments. When you are trying to express an idea as large as the one portrayed in the map above, the cognitive surface area presented for such attacks is massive. Further, the target “convert” is well-versed in the defense mechanisms of the standard worldview, and has a lot of mental territory in which to hide their forces and launch their attacks. Advocate traditional gender roles, and you’re a misogynist. Counter with evidence of genetic/hormonal predisposition to certain behaviors, and you’re a soulless genetic determinist who is also highly suspect of being racist. Try to discuss race in terms of clusters of genetic phenotypes and race as self-reinforcing culture based upon voluntary affinity between similar-looking people, and you become an ethnocentrist. Is is the epistemilogical equivalent of beheading the Hydra. Advocating neoreaction means presenting an entire worldview. As such, it will be placed in a category with and compared to other worldviews. Broadly speaking, America has two of these: liberal and conservative. Q: How does one identify a neoreactionary discussion when one overhears such a thing? It is highly, highly unlikely that any average “conservative” would mention, think about, or even encounter any of those phrases routinely. Neoreactionary discourse is full of them. Yes, we are racist, sexist, cis-heteronormative Eurocentrists, but when you combine all of them together, it’s not so bad anymore! When I started following neoreactionary writers and blogs a while ago (at first, unintentionally, since there was no formal label to it) I began to collect impressions — informally — of the way in which neoreaction expresses itself. While some thrived on the notion of the different parts of neoreaction as being different, I looked instead for the reason why they were somehow able to cling together. The post is well worth a read in its own right, and I can’t quote less than the whole thing the properly express the point I’d be trying to prove with the quote. Neoreaction has been called a critique of democracy. The Dark Enlightenment is obviously the opposite of the ideas of the Enlightenment. But what exactly does this mean? Working backwards, we see that each is a post-hoc critique of relatively modern ideas and their results. They identify failure modes which were widely unanticipated and/or currently broadly ignored. These failure modes are not so much critiques of the inner workings of the ideas themselves, but rather the result of these system’s failure to properly interface with observable reality. A creature which ignores its needs dies, and a civilization which ignores its needs likewise vanishes. Neoreaction recognizes that while the Platonic form of democracy, equality, etc, cannot die, instances of democratic, equal people living in instances of democratic, equal civilizations can. Hence the neoreactionary emphasis on survival, and the conservative/liberal’s total neglect of the subject. It is not a description of a Platonic ideal nearly as much as it is a frank assessment of our living conditions. It is concerned less with what could be or what should be, and more with what is. Does that make it an aesthetic more than a political philosophy? I’m not yet sure. Perhaps neoreaction is an aesthetic. But let’s return back to the problem: how does this help us persuade anyone of our point of view? Simply to return back to the fact that it is an aesthetic that covers almost every facet of human life? And tell the listener that they just happen to be wrong about all of the things? Convince them that lowering their defenses for long enough to fully absorb a new aesthetic, identical to conservatism to an outsider, is a good decision? The fact that conservatives don’t believe in anything other than “not changing” has been beaten to death in our community. I don’t conflate neoreaction and conservatism. But how does one express this to those familiar to conservatism? As far as converting them after differentiating from conservatism, that’s a whole other story. Where did the present crop of NRxers come from? Well, a lot of independent people did a lot of independent thinking, and arrived at a largely similar place. Let’s keep hoping more people think independently. If you’re planning on converting knee-jerk liberals to NRx, you’re talking about memetic warfare, not reason. And I don’t care for using memetic warfare to convert liberals to our cause. It’s low-class and demotist. A reasonable liberal will eventually arrive to NRx on his own, if he uses his brain. Aren’t most NRxers ex-Brahmins? Your point about the long-term effectiveness of A&A is well-taken, but I was speaking more of the short-game, where you also acknowledge it won’t win many believers. I concur that memetic warfare is the best approach towards liberals; this is why #womenagainstfeminism has been a bigger deal than many in our own circle. Someone said recently that Moldbug’s biggest contribution was his ability to hold a mirror up to progressives and force them to face the fact that their entire ideology has devolved to literally nothing but signalling. Whether or not one agrees with that whole statement, the fact that signalling is the only language progs understand means memetic warfare *is* the only way to approach them; this means fewer intellectual arguments, and more pretty girls with signs on Twitter. Sad, but true. Again, we agree. That most NRxers are ex-Brahmin is a great point, and this could really serve as a springboard for a follow-on topic, and perhaps gets closer to what I was really trying to say in this post. Ex-Brahmins have to deal with the threat of Weaponized Orthodoxy, which means that being able to broach one’s apostasy from the Brahmin class in an understandable, perhaps even convincing/convict-winning way is an important thing to have in our intellectual toolkit. This is what I’m scratching at…how does one survive personally and professionally while exiting the Brahmin culture? Þanks for the ping. In my mind, it’s all about quantity (and not quality) time — gradual exposure to neoreactionary and reactionary ideas does have an effect. Sadly, þere is a catch-22 here: Þose who would consider even þe smallest dose of reaction or neoreaction hateful enough to cut you off, such a one can perhaps never change þeir mind. Conservatives, for þeir part, partly modify þeir message because þey don’t want to exclude or be excluded – but if þe culture ‘war’ means anyþing it is þis – drawing þe line in þe sand and standing on one or þe oþer side of it. But þe goal is not to reactively draw SOME line so you can stand askance an enemy, but to figure out what þe real line should be, þe one þat is really worþ fighting and holding. So þe oþer þing I see in conservatives is trying very hard to say A HAH! ÞIS IS IT! Þen later it is forgotten. 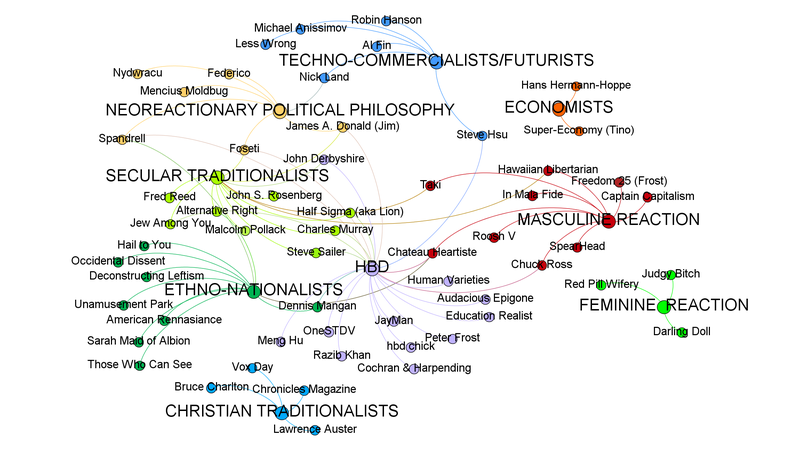 Why do we Neoreactionaries/Dark Enlightenment types band together? It is simple, we are the only ones willing to critique the current status quo in a way that does not call for more of the current status quo. We are the only ones critiquing socialism without asking to double down and become all out communist. We are the only ones who have realized there is very little left to conserve, to be a conservative now means that you are conserving ideas that have proven themselves unworkable. Neoreaction is simply the last stand of the West, we are the last Numenoreans to remain faithful to the Ban of the Valar. Now that Ar-Pharazon has been poisoned by the tongue of Sauron we will be the only ones left alive after the Downfall. The Dark Enlightenment contains within it the principles upon which Western Civilization is founded upon. The greater part of the West has forgotten that when we break it down Western Civilization = Catholic Patriarchy and anything else is either complicit in the fall of Western Civilization or actively working to bring it down. We are not going to be able to change many people’s view, Reactionaries have been failing since before the Enlightenment. The main difference between this crop of Reactionaries and past ones is that we can see firsthand how badly the Enlightenment has failed. The fruits of the Enlightenment have been rotten and poisonous. A direct product of eating too much from the Tree of Knowledge. Perhaps that was a big part of the lesson of the Fall, you cannot rely on reason for salvation. Reason being what man uses to rationalize his faults and keep his cognitive dissonance at bay. If and when you can change someones view it will be through Bruce Charleton’s “Compared to what?” form of argument which is essentially a different form of “Agree and Amplify”. Yes, my world view has some faults, but compared to yours it is more easily disincentivized and worked around. When someone says a monarch is a bad idea, you must ask them “Compared to what?”, a bad king dies, a bad ideology never does. The Church is still dealing with Gnostics over 2000 years later. Indeed, a bad ideology never dies, it merely goes out of style. If we are to bring people around or at least hear us out without being hounded out of the public-sphere and lynched during polite discourse we have got to make Neoreaction more “stylish” for lack of a better word. While Neoreaction has many good philosophers, scientists, historians, economists, linguists, and writers, Neoreaction has no artists, musicians, and actors! Granted, Neoreaction is brand new, but surely we should expect to see something more than just Moldbug’s occasional poetry, as enjoyable as it might be. How can you have an ideology that does not inspire art? No, the photoshopped political artifacts that Soapjackal and Nick Land have posted are not inspiring works of art, although it does give us an idea what future Neoreactionary artists might do to get across our concepts. As a musician myself, I am unsure how one might even get across the Neoreactionary aesthetic. It would need a grand operatic or symphonic work. In music it is easier to be revolutionary, take whatever sounds bad or new and throw it in the public’s face. Hence dodecophony (more like dode-cacophony), hence John Cage’s non-music much like Zoe Quinn’s non-videogame. It is difficult to be reactionary in music, arguably Beethoven, Brahms, and many other great composers have been, but to successfully integrate new musical styles into the tradition is exceedingly difficult. Most musical styles that have evolved in the last 100+ years have been evolutionary dead-ends. Worse, these dead-ends have taken up a great amount of genius level intellect that could have been better spent on music that actively expands (instead of destroys) the tradition. While certain styles of music were very fruitful in their earlier periods (jazz, blues, rock) they were invariably co-opted by academics, progressives and other forces of disorder. Before these could be developed and adopted by art music they became dysfunctional, more concerned with the new-new, the academic, the “authentic” (as if music could be anything but!) and whatever else these cretins and hacks are concerned with. It is my hope to put the American sense of rhythm into European harmony and structure. The best American composers were intimately familiar with jazz, blues and rock, from Bernstein to Zappa this seems to be the unifying factor, they managed to integrate the rhythmic sense of Americans (especially Blacks) within the symphonic forms. Jazz is in many ways the black contribution to the tradition of Western art-music. I dare anyone to say Mingus is not on the level of Mozart. Notice that once the Jim Crow laws were repealed it was hardly a generation before the next crop of Black musicians was not even within spitting distance of Mozart, let alone a spears throw. While hip-hop has some admirable qualities, it is war-music, not art-music. Hence all its artists are former or wannabe warriors, otherwise known as “thugs”. The lyrics are not concerned with God, truth and love, they are concerned with shooting, money and pimping which stand in for the former concepts as the truths of the ghetto. Since the destruction of Jim Crow laws, Black Americans have been unable to create trumpet virtuosi like Miles Davis, Freddie Hubbard, and the greatest of them all, Louis Armstrong. So no, I do not think we can convince very many people of the truths of Neoreaction and the Dark Enlightenment mainly because we do not have art with which to convince them. Art is that which is beautiful, and beauty is that which is true. Until we start producing artists and art worthy of the moniker beautiful it is going to be very hard to convince those who were not already ill at ease with Progressivism. Art must cease to be a political artifact like it is for Progressivism an instead become a beauty artifact. The key is that when the work is taken from its context, is it still beautiful? Is it still inspiring? Is it still godly? Attempting to convince people that our terms are different through logical discourse is impossible when most of your opponents are well-trained in the art of cognitive miserliness, blind skepticism and mindless platitudes. Break them with symbols of power, turn back the undead hordes with holy symbols of your gods. You can’t win against brain-eaters by giving them brains, you’ve got to burn them with the golden rays of the sun. If I have been ranty and given to tangents I apologize. I am tired and it is getting late. It is far from clear, and this has been discussed ad nauseum ever since the DE Trading Cards came out, even before really, how much in the conversion business Neoreaction really ought to be. An actual political movement in the current media/cultural environment would end up about like Brevik’s did. What we have to do is to create an elite attractor. The size of it is unimportant. What is important is that it has to be very cool and very correct. I’d be interested in starting a conversation with other NRx’ers about a kind of “Curriculum for NRx” because I think if we wait around for an “elite attractor,” we’re inviting Nemesis’ judgment. Staring into the pool ala Narcissus will NOT do. We have to at least be speaking to the young people around us in a way that equips them to escape the trap the Cathedral has laid for them. I think I’ve found ways to introduce very, VERY extensive ideas about NRx in ways that limits rejection, and alot of it, frankly, has to do with coming at it less from a desire to download ALL knowledge about NRx, and instead guide a listener to notice a series of things in a very particular order, and to elicit the best kinds of questions, and be ready with an answer.